Under Contract with a 72 hour first right of refusal. 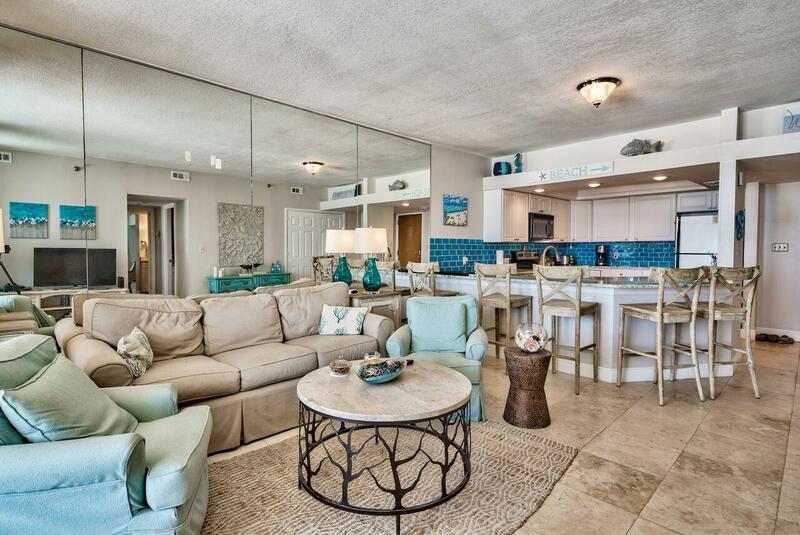 Completely Renovated Two Bedroom Two Bath unit in East Pass Towers. The unit features Granite Counter Tops in the Kitchen and Bath's, Travertine flooring throughout, Stainless Appliances, upgraded Cabinetry and newer furnishings. It is a great location in the building with views of the Destin Harbor, East Pass and the Gulf of Mexico. From this location there is always something to see from the boats coming and going, Sunset views and the Lights on the Harbor in the Evening. The unit also features covered parking and storage under the building. This will make a wonderful second home or rental investment with an already established Clientele. A Boat slip can also be purchased for an additional price.